Whether you’re currently enjoying a well-earned break, or you’re back into your weekday routine, there’s no doubt that this time of year is when most of us are making the most of our outdoor furniture. Indeed, outdoor living and entertaining has increasingly become a key element in the way we live our lives in Australia. 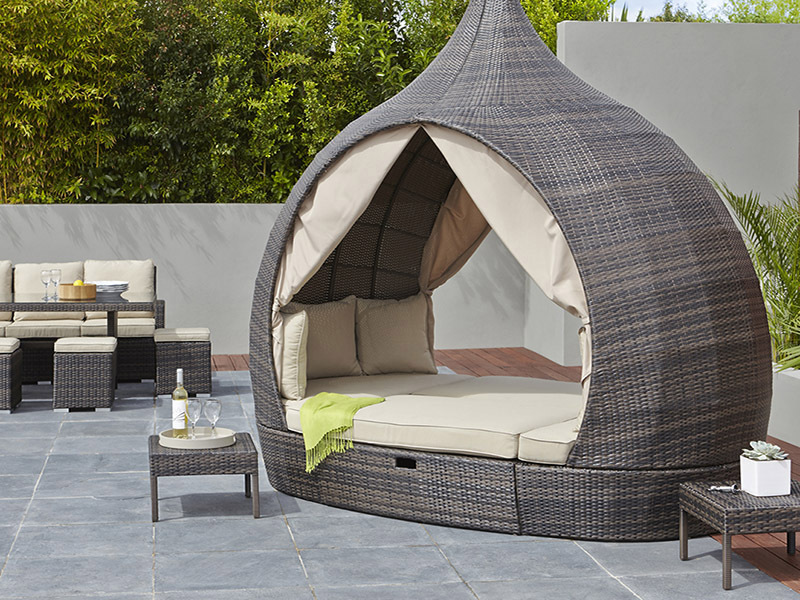 That’s why choosing the right outdoor furniture is so important if you want to make the most of your outdoor living. If you are selecting plastic furniture, choosing the right colour is important. Black is regarded as the most UV resistant colour, but it can feel hotter in direct sunlight. Yellow and red will fade the fastest, whilst white will show marks and dirt more readily. If you are choosing powder-coated furniture, be sure to lift and carry it rather than dragging it. Once the powder-coating is scratched the metal will corrode more rapidly. Timber furniture will need to be oiled every 6 months if you do not want it to fade to that weathered silvery look. Consider the weight of the furniture. Not only can heavy furniture be a problem if you need to move it around or store it, but light weight furniture can be a problem if it is in an area that is exposed to the wind. Keeping furniture clean can be a chore, but it’s a lot easier if you choose furniture that can be hosed down. If your cushions are going to be left outdoors for any length of time, make sure they are filled with weatherproof foam. Otherwise you may find them getting moldy, damp or even crumbling. Last but not least, if space is tight look for furniture (particularly chairs) that you can stack when not in use. Of course, if you are considering updating your outdoor furniture as part of your efforts to dress up your home in preparation for a sale, don’t forget to download our FREE booklet “Fatal Real Estate Traps Exposed”. And if you have any questions about the current property market in Victoria, don’t hesitate to give us a call on 9430 0000.